Aintree Grand National winner Aurora’s Encore heads the weights for the Scottish National this weekend. He has risen 11lb in the weights for his stunning 66-1 victory at Liverpool two weeks ago but the going is a bigger concern. Trainer Sue Smith has already stated that she is prepared to take him out if the going becomes too soft for the proven fast ground performer. The going was reported to be heavy earlier in the week so there must be grave concerns about his prospects on Saturday. He finished second in this race in 2012 and, if he does take part, will be bidding the become the first horse since Red Rum in 1974 to complete the English/Scottish National double in the same season. Another horse with proven form in the race is Always Right, second in 2011. He lost his form soon after and was found to be suffering from a breathing problem. He looked to be over that when winning at Kelso last time and looks a good bet at 9-1 with Bet365. There would be no more popular winner than Silver By Nature, trained in Scotland by Lucinda Russell. He has been off with injury for a considerable time and may need more than the one race to put him straight. The stable may have better chances with Nuts N Bolts who has been nibbled at in the ante-post market. Alan King is expecting a good run from Godsmejudge who will not be inconvenienced by the soft ground. Donald McCain was out of luck with his three runners in the Grand National but runs Our Mick and Lively Baron in this. Our Mick was a good second at the Cheltenham festival and is another taking a step up in distance. David Pipe endured a nightmare festival but his horses are coming back to form and Big Occasion is one horse that will not mind any further rain. 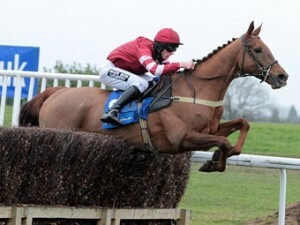 He slogged his way to victory at Uttoxeter to claim the Midlands National and could run a big race here. Rigadin De Beauchene is another with a chance if you are prepared to forgive him a disappointing run at Haydock last time on heavy ground. As things stand, he looks to be facing similar conditions on Saturday.